Six materials commonly used in Aireloom mattresses are memory foam, regular foam, cashmere, cotton, talalay latex, and wool. With the variety in materials and firmness, almost anyone can find the right match for their needs. These mattresses are very supportive as well thanks to the pocket coils inside. Aireloom mattresses are usually 12-16 inches thick, enabling better support for heavyset people. Some types of Aireloom mattresses are adjustable base friendly too. For a more in-depth review of Aireloom mattresses, including price range, where they can be purchased, and who they are most suitable for, continue reading. Where Can You Buy Aireloom Mattresses? How Much Does an Aireloom Mattress Cost? Should You Buy an Aireloom Mattress? We’ll look at the construction of the different Aireloom mattresses in this section. We’ll break the mattresses up according to the collections that Aireloom organizes them into. The Karpen Luxury aims to live up to its name with its high-quality construction. The mattress itself features five different comfort lays along with a nested coil design to maximize your rest while sleeping. The comfort layers cosist of Luxus latex, Ventilated Talalay latex, Joma Wool or Organic cotton, Slow-recover viscoelastic memory foam, or Aireluxe foam, and zoned micro coils. The bed comes with a box spring that’s made from an 8-way hand-tied divan, a self-welting finish, and 160 yards of Italian twine. Finally, the Karpen Luxury includes a topper. This lush pillow top is made from Joma wool filling, ventilated Talalay latex, and HiLoft FR fibers. The Karpen Sidstitch is a hybrid of traditional innerspring designs and the latest in comfort foam. It has three layers of comfort foam, including a Luxury Firm natural ventilated latex, Aireluxe Luxury Firm foam, and a Visco elastic memory foam. Additionally, each Karpen Sidestitch includes 42 lbs of cotton, 54 inner tufts, and 560 handmade stiches. The bed also has perimeter edge support to enhance the comfort and the feel of the bed. The support system for the Sidestitch includes individually wrapped coils and ultra-high-density support foam. This combination of individually wrapped coils and support foam is designed to relieve pressure points and prevent you from waking up in the morning with aches and pains. The Aireloom Latex mattress comes in two forms, either the Luxetop design or the Streamline design. The Streamline design consists of three layers with a latex core. The comfort layers are made of Talalay latex. The support system will use either the Aireloom Unitized latex core, the Energex core system and a high-density encased perimeter support system. Additionally, the Streamline uses a high-definition box spring to get the best possible responsiveness from the bed. You can get the box spring in 9” or 5” versions. The Aireloom Luxetop design is very similar to the Streamline, with the exception that it also has a top layer made from Visco foam. this allows the top layer to be more responsive. It also produces a sharper body contour than you get from standard or ventilated latex foam. 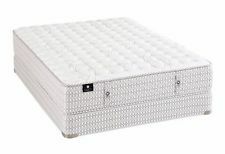 Additionally, the Luxetop comes with a Pillowflex layer than can create a softer feel for the mattress. This pillowtop is made from silk, wool, and HiLoft FR fibers. There are three mattresses is Aireloom’s preferred collection. These are the Luxetop designs, the Streamline designs, and the Channel Streamline designs. You can get each of the designs in a range of firmnesses so you can ensure that you’re getting the right support for your needs. The Preferred collection is made from a series of comfort layers and micro coils. This combination allows for especially good pressure point support without losing any of the soft, welcoming feel that you want from a mattress. The comfort layerse consist of CelesionPLUS, Talalay latex, Aireluxe foam, and Viscoelastic memory foam. you also get 8 lbs of cotton in the upholstery layer and 19 gauge micro coils. The support system includes a support-flex core with 15 or 13 ¾ gauge individually wrapped coils and a high-density encased perimeter support system. The Luxetop version of the preferred collection comes with a pillow top. The Streamline doesn’t have the pillowtop. Finally, the channel streamline designs use a different top cover. Instead of the traditional diamond quilting pattern you get on many covers, this cover uses channels. This can help improve airflow and moisture wicking, keeping you dry and cool while you sleep. Finally, the Aspire Hybrid is the last collection of mattresses on offer from Aireloom. 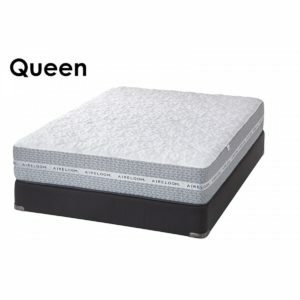 It uses a combination of individually wrapped coils and foams to produce a unique feel that you’re not likely to find replicated in other mattresses. The Aspire Hybrid has comfort layers made from Phase Change foam, which helps regulate temperature. It also has layers of slow recover visco foam and Aireluxe foam. The box spring is available in 9” or 5” height and provides working support using a v-shaped semi-flex grid. The support system has a high-density encased perimeter support system and support-flex individually wrapped coils. A queen bed will have 830 perimeter coils and the King will have 992. The firmness, feel, and support of Aireloom mattresses varies wildly based on the type of mattress you get. There’s an option for everything from a very soft mattress to a very firm mattress. One of the best aspects of al of Aireloom’s mattresses is that they do a good job of blending the roles of the comfort and support systems. As a result, you’re likely to get an enjoyable night’s sleep on any Aireloom mattress, so long as you pick one with the proper firmness. Additionally, the high-quality materials and thoughtful design that goes into each Aireloom mattress means that you’re going to get good support. They do an excellent job of working to eliminate pressure points, which can cause pain and pinched nerves when you wake up. The result is that Aireloom mattresses feel great to sleep on. We especially liked the edge support that comes with nearly every Aireloom mattress. This edge support system helps provide support for people who like to sleep against the side of the bed. It also enhances adult playtime for couples. Moreover, a solid edge support system is the key to getting the longest possible life from your mattress. Often when modern foam mattresses need replaced it’s because the edge support has collapsed. The result is that the mattress doesn’t hold its shape as well. This causes uncomfortable lumps and dips in your mattress, and can ruin the quality of the sleep you get from it. Major retailers that sell Aireloom mattresses include Macy’s, Sit ‘n Sleep, Bloomingdale’s, and Raymour & Flanigan. Sit ‘b Sleep is only located on the West Coast of the United States, and Raymour & Flanigan is found on the East Coast. According to a mattress review site, Sleep Like the Dead, 20% of owners reported that their Aireloom mattresses started to sag and develop body indentations after three years of ownership. In comparison to other innerspring mattresses, this is a 24% better rate. For a mattress of its type, an Aireloom mattress is fairly durable. However, it still performs 14% worse when all types of mattresses are considered. 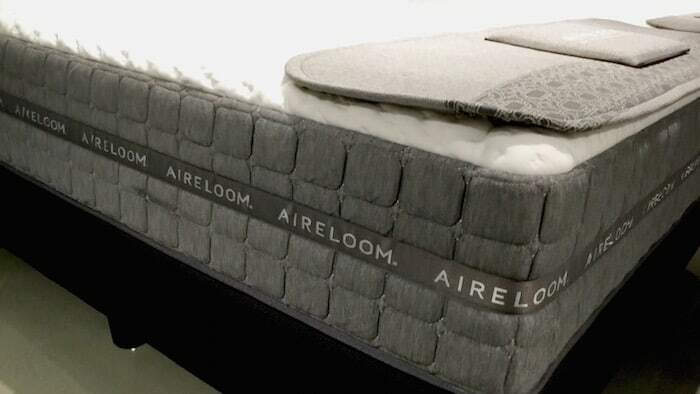 Aireloom mattresses cost $1,300-$7,500, depending on size and model. A few of these mattresses are over $7,500. However, the average queen size Aireloom mattress is $2,500. Aireloom mattresses aren’t cheap, but they are certainly luxurious with a 75% overall customer satisfaction rate according to data from Sleep Like the Dead. The majority of Aireloom mattresses range from firm to medium-soft in firmness. All different types of sleepers can find a firmness that fits their needs. Medium to medium-soft Aireloom mattresses are good for people who sleep on their sides. Those who sleep on their stomachs, however, should buy a firm Aireloom mattress. 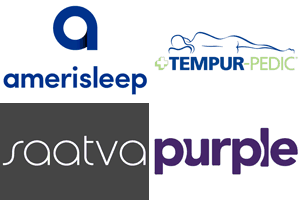 Most of these mattresses are good for back sleepers; it’s a matter of which firmness works best for their backs. Aireloom mattresses feature higher than average support, especially in the more expensive models. Support typically improves with the more expensive models because the contain a higher number of coils. However, even those on the cheaper end of the spectrum offer excellent support. If finding a mattress with movement isolation is important to you, so that your partner doesn’t disturb you when they get out of bed, you don’t need to cross Aireloom off your list. They provide decent movement isolation so that couples don’t disturb each other during movement. Aireloom mattresses are able to support the weight of people who are over 240 lbs. Thee mattresses are fairly thick and strong. Squeaky or noisy mattresses annoy some people, but you don’t have to worry about that with this brand of mattress. Only 5% of owners, according to Sleep Like the Dead, report their Aireloom mattress at least occasionally makes some noise. Aireloom mattresses are heavy, making them difficult to move. The average queen size weighs 150 lbs. Other Aireloom mattresses weigh as little as 60 lbs. Some are almost 200 lbs. Because Aireloom beds have a one-sided no flip design, you may have to rotate the mattress twice a year to minimize or prevent sagging. This is something to consider before making a purchase, especially if you don’t have a partner to help you rotate the mattress. Aireloom mattresses are ideal for people who want a luxurious mattress that provides great support and can support weights over 240 lbs. They are also ideal for couples due to their movement isolation. Singles may not like the fact that they might have to rotate the mattress twice per year to prevent sagging. Normally we’d do a big pricing chart in this section that shows the different mattress prices for the various Aireloom models. However, because Aireloom sells its mattresses through third-party retailers, we can’t do that this time. We can, however, give you some general guidelines. Generally speaking, Aireloom mattresses will be more expensive than lots of the other mattress options on the market. This is because of the high-quality materials and hand-made manufacturing process that goes into each mattress. It’s a good alternative to something like the Tempurpedic mattress, and usually has a price that’s comparable to that line of mattresses. As a result, the price can run anywhere from $1,500 to $5,000 for a queen-sized mattress. The question of whether or not you should buy an Aireloom mattress comes down to what’s most important for you in your mattress. 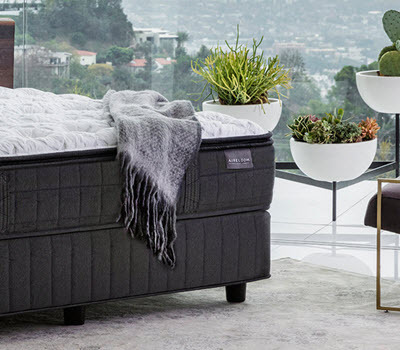 The Airelooms use the highest-quality materials and hand-made manufacturing techniques to produce a luxuriously comfortable bed. However, all of those high-quality materials and hand-made design don’t come cheap. As a result, you should look elsewhere if your first priority for a new mattress is getting the lowest price possible. For sleepers that aren’t as concerned about the price as they are the quality of the sleep they get from the mattress, Aireloom mattresses are a great option. You get a wonderful combination of materials and design from each mattress. Moreover, the huge range of customizable options means that you’re almost certain to get exactly the feel you’re looking for. Another important consideration is how much work you’re willing to do to buy a new mattress. Aireloom mattresses are sold by third-party retailers. That means you can comparison shop between the different retailers in your area to find the one that will give you the best deal. Keep in mind that many traditional retailers charge for things like shipping and set up, so be sure to consider those costs as well when you’re looking at the final price. But some people don’t want to put a lot of work into finding the best deal on a mattress. If that sounds like you, then you might want to consider something other than an Aireloom. Other mattress manufacturers will sell directly to you. That means you can get a savings by cutting out the third-party retailer. It also removes the mystery about things like a warranty, trial period, and shipping costs. Finally, the fact that Aireloom mattresses are sold by third-party retailers does have one other advantage for some people – if you want to try the bed at the store before you have it delivered. This can help prevent annoying issues with return orders and other complications if you don’t like the bed you get.